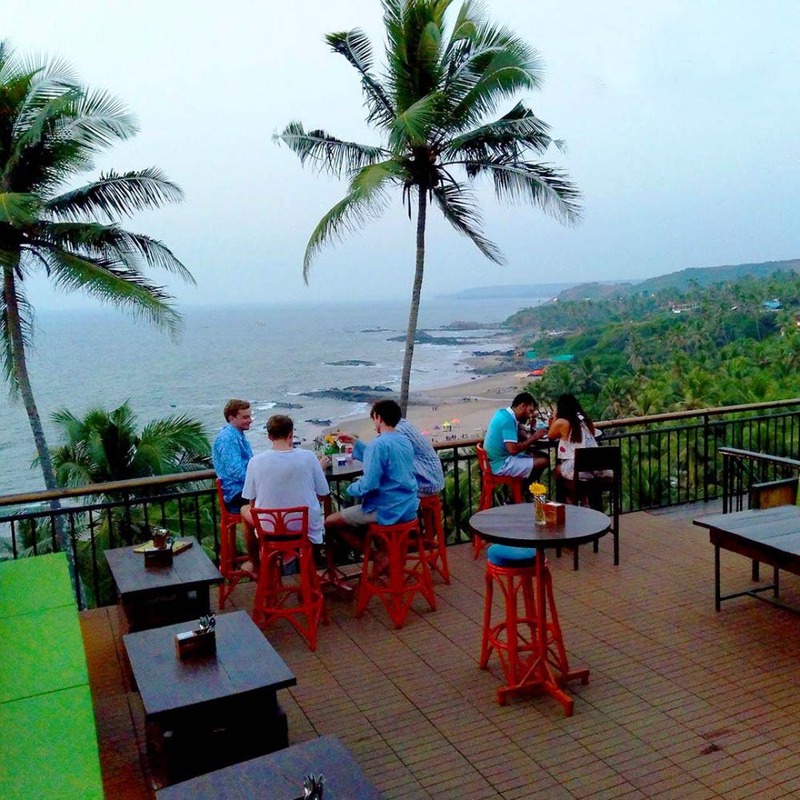 A cliffside restaurant located on the Vagator hill, head to Hika Mizu for a delicious spread of Asian food and a breathtaking view! Tucked away into a fold of the cliff, the restaurant is a little difficult to find, but is completely worth the trouble. A perfect setting for a sunset date, the restaurant offers a wide selection of pan Asian cuisine and cocktails to die for. Location, location, location! While the restaurant itself is located close to the busy vagator cliff road, it is tucked away into the lesser visited side of the cliff thanks to which it skips the rush of traffic even on busy days. The wooden deck, that is pretty much the centrepoint of the restaurant, overlooks the Ozran beach below and makes for the perfect spot for watching the sun set into the calm sea, while sipping on your beer or iced tea. To add to that, the restaurant has a fine dining Asian menu — the dimsums, the teriyaki beef, the singapore black pepper prawns, and the tenderloin stir fry are amongst our personal favourites. They also offer a wide selection of alcohol and whip up some delicious classic cocktails. The friendly staff and direct recommendations from the chef add to the spirited environment of the place. The place also has cubana style exquisite accommodation — the rooms are built on the cliffside, while a cute little stairwell takes you to the beach below. The service time — while the staff is extremely friendly and accommodating, expect some wait time between placing the order and the food reaching your table. We however would suggest that you make best of the time, especially if you’re visiting during sunset, and stock up on those Instagram selfies. If you happen to visit on one of the not-so-busy days, ask the bartender if he will make you the whiskey sour. It’s not on their regular menu, though the bartender will make it on request and is one of the best whiskey sours you’ll find in town.